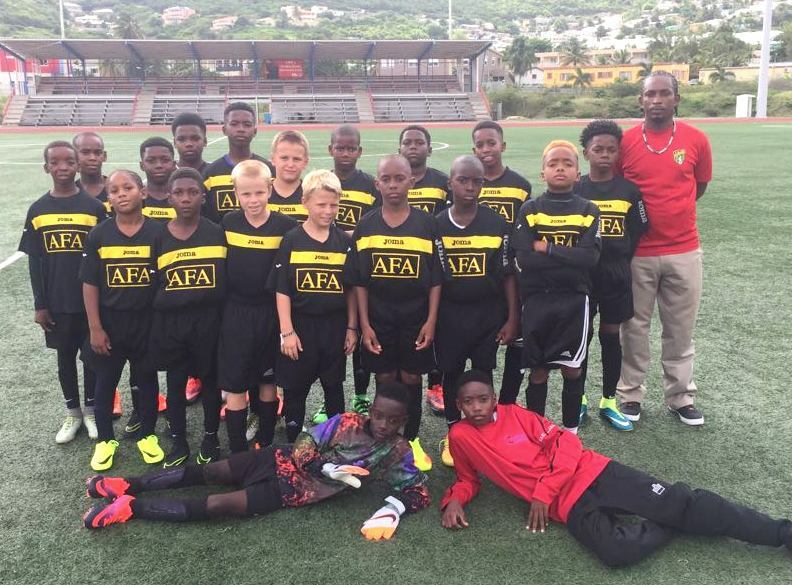 Teams selected from the Virgin Gorda Football League, but also containing players from Tortola, named as the VG U13 Future Stars, travelled to Saint Maarten over the holiday weekend, June 2nd to 5th, 2017. The VG U13 Future Stars, with a handful of Tortola boys, ended the Football Festival undefeated to come home with bragging rights, drawing their first game, 2-2, with Willful Skillful. The goals came from Azarni Callwood and Joel Mars. The second game saw the VG based team routing the Dominators, 3-0, with Callwood scoring twice and Jadon Abrams once. The final game saw a repeat of the draw against Willful Skillful, but just 1-1 this time as a Jaaden Quashie goal ensured the Boys returned home unbeaten. Also making the trip to SXM, via Speedy’s Ferry were a Senior team, an U17 Boys team and a Women’s team. The Senior Men were indebted to a Derol Redhead goal to secure a 1-1 result against Red Lion, whilst the Women lost both their games, to SXM, 1-0 and 2-1, with Lavern Fahie the lone scorer. The Under 17’s, meanwhile, won their first match against Willful Skilful, 3-1, with goals coming from Phillip Graham, Chadwick Evans and Kyreek Gardiner, but then played out a 0-0 draw against the same opposition, to round out the weekend.